Some goalies are great. Others are intriguing. But only a handful are both. 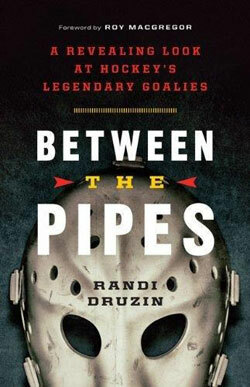 In Between the Pipes, Randi Druzin profiles a dozen of these legendary netminders, honing in on the personality trait that makes each one unique. She paints vivid portraits of men such as Jacques Plante, who refused to stay at The Royal York Hotel in Toronto, and Dominik Hasek, who earned a university degree and mastered chess before making his NHL debut. Female athletes have been fighting for legitimacy since Ancient Greece, when girls ran in races wearing knee-length tunics that exposed their right breasts. When women exchanged their corsets for bloomers and took up cycling en masse in the late 1800s, the wheels of progress were set in motion. Today, women are active at every level of competition in dozens of sports. 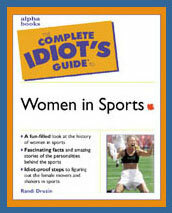 The Complete Idiot's Guide to Women in Sports traces opposition to women in sports throughout the ages and catalogues women's trials and triumphs, sport by sport.